If you are in need of any kind of Detroit Diesel replacement parts for Detroit Diesel engines, turn to Diesel Pro Power. 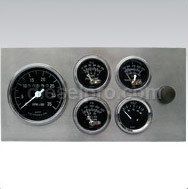 We have everything from engine parts to mechanical gauges with alarm capabilities. One of the most important parts of any engine is the gauge. 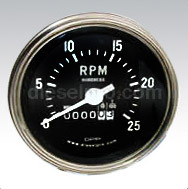 There are numerous types of gauges on engines, and all of them have different functions. Ensuring that your gauges are working properly is extremely important because your gauges let you know how your engine is functioning. Therefore, if your gauges begin not working or sticking, you should have them immediately checked and, if need be, replaced. 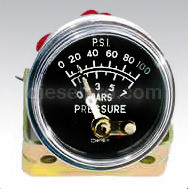 If you need to purchase a new gauge for any reason, it’s advantageous for you to do so online from a company like us. If you take your engine to a shop and let them order the part for you, you'll likely end up paying more than you would if you ordered the part yourself. We offer competitive prices on all our products, including our gauges, to make keeping your Diesel engine in optimum working order more possible. 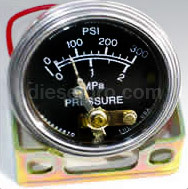 Some of the types of gauges that we carry in our inventory include water temperature gauges, oil gauges, voltmeters, hour meters, and much more. A great aspect about purchasing from Diesel Pro Power your meters through us is that we ship within 24 hours all over the world. Don't settle for broken or damaged gauges when you don't have to. Select from our mechanical gauges with alarm capabilities to ensure that your engine is functioning properly. Please contact Diesel Pro Power with any questions or concerns that you might have about any of our products.